I’m both a news junkie and am active on social media. That’s a volatile mix in these political times. So when I saw an article on Ideas.TED.com about a better way to read the news, I was hooked. The better way is actually quite simple — read as if you were a scientist. “In science, researchers have to declare potential conflicts of interest before publishing their findings,” says Frans. When you find a new claim, look for any conflicts. Also consider what makes the writer or speaker qualified to comment on the topic, and what statements have they made in the past? When evaluating a claim, Frans asks, “Can the sources be traced? Are they reliable? Is the conclusion based on a rational evaluation of the information?” And you should try to consider all of the research. Do a quick Google search — you never know what you might find. We’re more likely to notice stories or facts that fit what we already believe (or want to believe) — “When you search for information, you should not disregard the information that goes against whatever opinion you might have in advance,” according to Frans. Look for friends and acquaintances on social media with alternative viewpoints for balance. 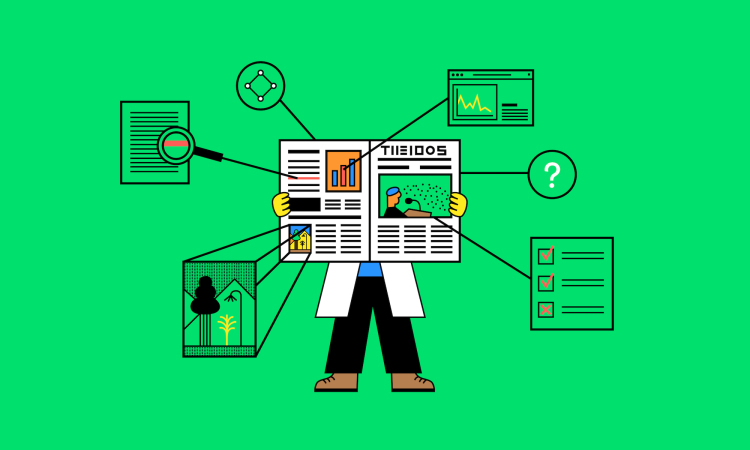 The complete article is”How to read the news like a scientist” by Daniella Balarezo and Daryl Chen at https://ideas.ted.com/how-to-read-the-news-like-a-scientist/. The site also includes a link to her TED talk. The illustration came from that site.